Local marketing is now one of the top buzz words to hit the streets; and nothing is more important to brick and mortar businesses than being part of the local community and really standing out from their competition. According to a recent survey by Boostability.com, as much as 82% of all people begin their search online for the products and services that they need. Most of the searches are coming from mobile devices and places like Google and will automatically display localized content. 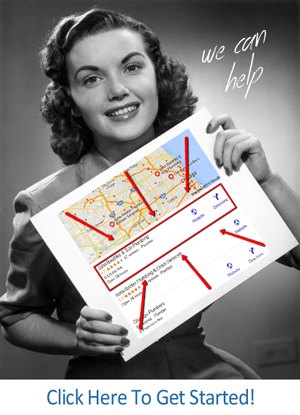 If you’ve taken the time to ensure that your business will show up in the searches. The purpose of this website is to show you exactly how to do just that; effective use of Google My Business, Google Maps and even in Google Plus can all combined together to guarantee that when people search for your business that they will find exactly what they’re looking for. Google My Business is the great equalizer and once you have set everything up correctly and to ensure that your business follows these guidelines is a guaranteed way to dramatically increase leads, interested customers and clients and boost your sales. Please take the time to look over the information on this site and then use it to optimize your results. Once you do, you too can compete and succeed in your local market, even against some of the real giants!